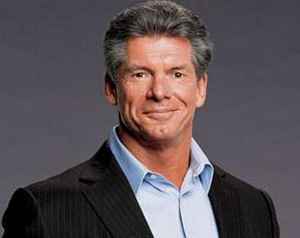 Vincent Kennedy "Vince" McMahon (born August 24, 1945) is an American professional wrestling promoter, former announcer, commentator, film producer, actor, entreprenuer and occasional professional wrestler. He currently serves as the majority owner, chairman, and CEO of professional wrestling promotion World Wrestling Entertainment, Inc. (WWE). His son-in-law is professional wrestler Triple H (4), his daughter-in-law is businesswoman Marissa Mazzola, his wife is former chief financial officer Linda, and his children are former minority owner Shane, chief revenue officer Tiffany and chief brand officer Stephanie.